The so-called war on terrorism waged by three successive administrations represents the cornerstone of US foreign and military policy. 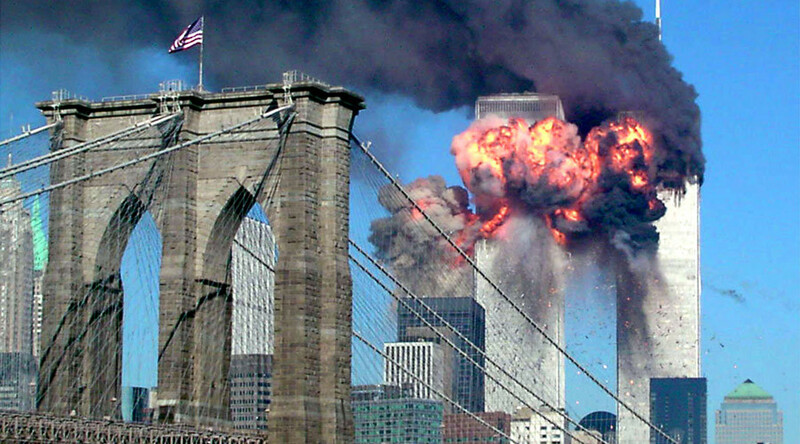 There are still serious questions about 9/11 nearly 16 years later, says Abayomi Azikiwe, editor of the Pan-African News Wire. Families of 9/11 victims have filed a lawsuit against Saudi Arabia, accusing its officials of aiding the terrorists. Riyadh is being blamed for funding Al-Qaeda and the hijackers involved in the tragedy. Lawsuits like this one were made possible due to a bill the US Congress passed last year. RT: The families of 9/11 victims are suing Saudi Arabia. Where do you see this heading? Can they win the case? Abayomi Azikiwe: It remains to be seen. I am sure the Saudi government is going to use all of its resources to prevent the suit from moving forward. They even apparently hired a group that appeared to be a veterans advocacy organization to fly a number of veterans out to Washington, DC, they stayed at the Trump International Hotels. They were put up in $500-plus-a-night rooms. They were encouraged to go to Congress to lobby against this bill or either ask for revisions in the bill. This is an issue that remains unsettled in the US nearly 16 years later. There are still serious questions about Saudi involvement in the hijackings and the crashing into the World Trade Center, as well as the Pentagon, and the fourth plane which went down in Pennsylvania. RT: What sort of retaliation do you expect from the Saudis? AA: I think they have to be careful with public opinion being against them here in the US, and with the remaining curiosity related to actually solving the origins of the 9/11 attacks. They are going to have to be very careful in how they proceed even within the legal system. There had been an article that was published in the New York Post which indicates that they are very nervous about the passage of this bill and at the same time they are very concerned about where this lawsuit is going to lead. In a court of law, they can be subjected to “legal discovery,” which means that the redactions in the 28-page section of the report that was released last year could be further probed. There may be additional documents that could be requested from the Saudi monarchy in regard to the individuals who were involved in the hijackings. These are issues that are still very much in the minds of people here in the US. And at the same time, the so-called war on terrorism that has been waged by three successive administrations represents a cornerstone of US foreign as well as military policy. RT: Last year, Obama vetoed the 9/11 victims’ law, known as JASTA, saying it would expose Americans abroad to legal action. His veto was overridden by Congress. But were his concerns justified? AA: According to the bill, this is directed towards states that are considered sponsors of international terrorism, not individuals. And I think they were utilizing the potential of individual military personnel or US government intelligence or civil service personnel are being targeted in legal actions and even perhaps being apprehended by certain foreign governments in retaliation for the passage of this bill. But I don’t see any evidence of that based upon the actual text of the legislation itself.